Francis Atwoli Advice to President Uhuru Kenyatta for him to win the August elections. - Bana Kenya News, Real African Network Tubanane. Home Entertainment featured Francis Atwoli Advice to President Uhuru Kenyatta for him to win the August elections. Francis Atwoli Advice to President Uhuru Kenyatta for him to win the August elections. The COTU secretary general Francis Atwoli advised the President to kick out all his advisors because they have failed to give him the correct way in dealing with Political and economic matters. 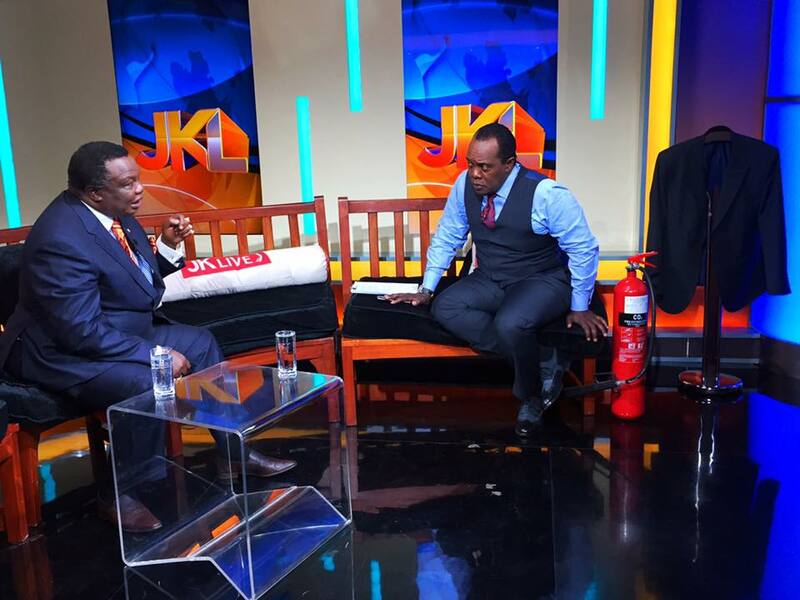 Atwoli spoke yesterday at JKL show aired by Citizen TV. The COTU SG suggested that the President should overhaul his bench for him to win in the August polls. "The president need to handle economic and political matters with a sober mind and act in his capacity. " Said Atwoli. "The Kenyan economy is down by Five percent with an inflation rate of a double digit of 10.2 Percent. This is the first time Kenya has faced economic crisis since independence." Added Atwoli. According to him, the drama that the Mombasa Governor Ali Hassan Joho and the President Uhuru Kenyatta are showing Kenyans degrade him as the head of state. "Hassan Joho was made by the president to be popular. Now every corner in Kenya, even western and Nyanza they are talking about him. Today Joho has more influence than Raila and President Kenyatta at the Coast. Look what happened at the DCI offices. Large crowds stormed the CID divisional headquarters in Mombasa.Think about the Massive follow up turned during ODM tour in Mombasa, it surprised the Donald Trump inauguration in US." he added. The COTU SG gave president Kenyatta advise and method to use it now to get back the seat in the august polls. " For President Kenyatta to win, three things should be in place; Do away with his advisors, Scramble or scuttling the NASA coalition unity or Rig the Election. Meru turned against him because of the failed advisors. In central, because of the inflation, high standards of living and difficult life will divide those votes in his backyard." Said Atwoli.